Three tier round cake with white, blue and red flair! 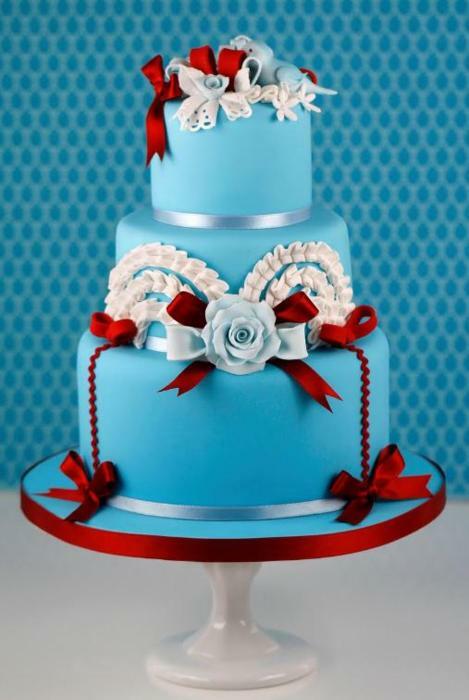 Four tier round cake with red roses and pale blue ribbon. 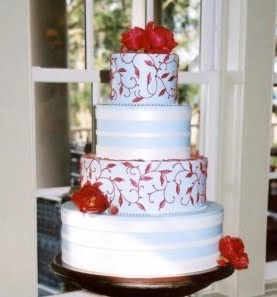 Four tier blue wedding cake with red and white flowers. 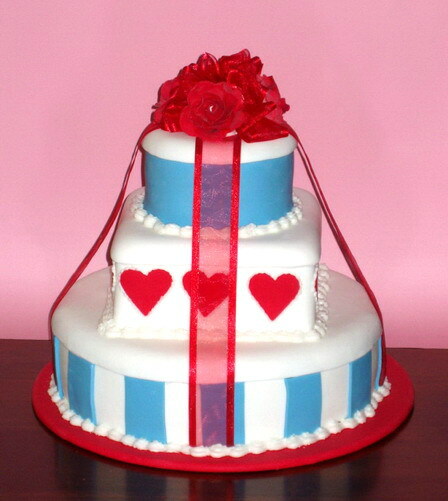 Red hearts and blue stripes three tier round wedding cake with red roses topper. 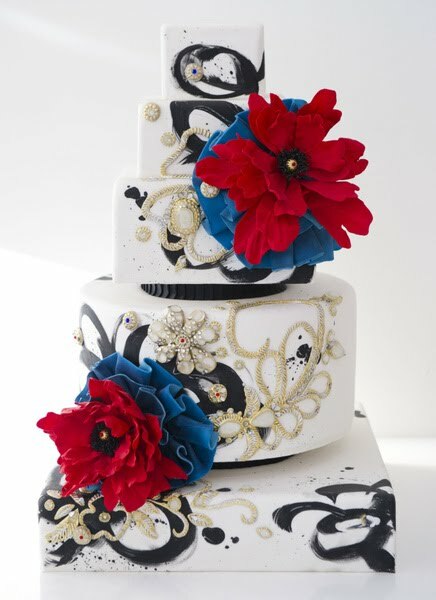 Beautifully artistic three tier red and blue wedding cake designed by Rosebud Cakes. 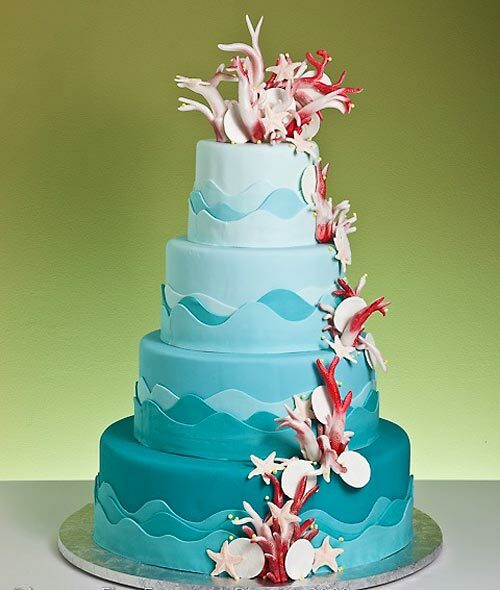 Decorated with light aqua blue and medium blue fondant, made to look just like the waves of the ocean and red coral this gorgeous four tier cake was designed by Jacques Fine European Pastries. 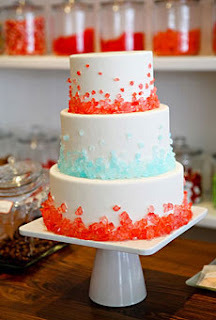 Beautiful three tiered rock candy crystals wedding cake with blue and red crystals. Amazing wedding cake with red and blue flowers from Cake Opera. 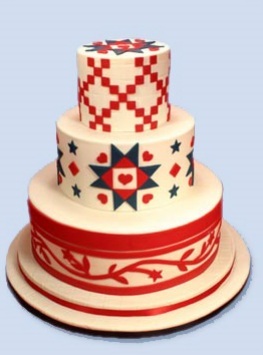 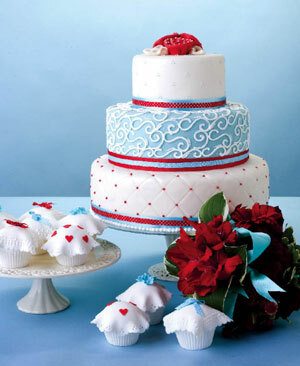 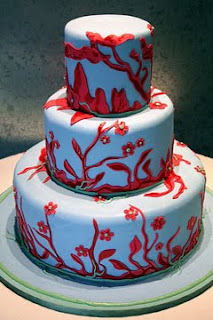 From Confetti Cakes comes this really original folk art wedding cake in blue, red and white with gorgeous folk patterns. 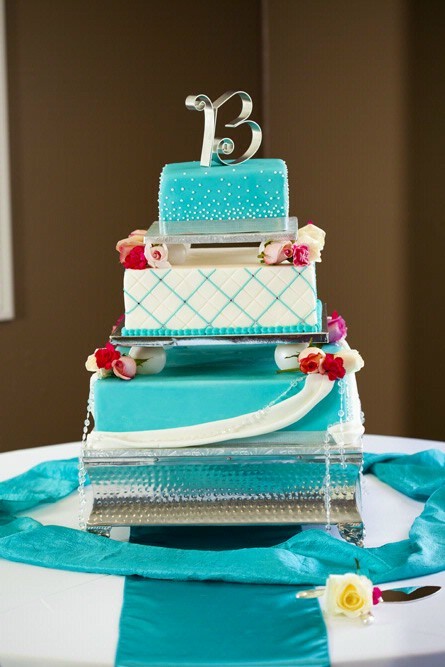 Stunning three tier wedding cake decorated in red and teal. Square turquoise and white cake with red flower accents. 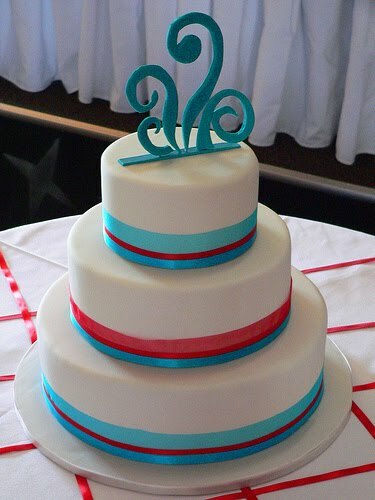 Magnificent three tier wedding cake in red and turquoise! 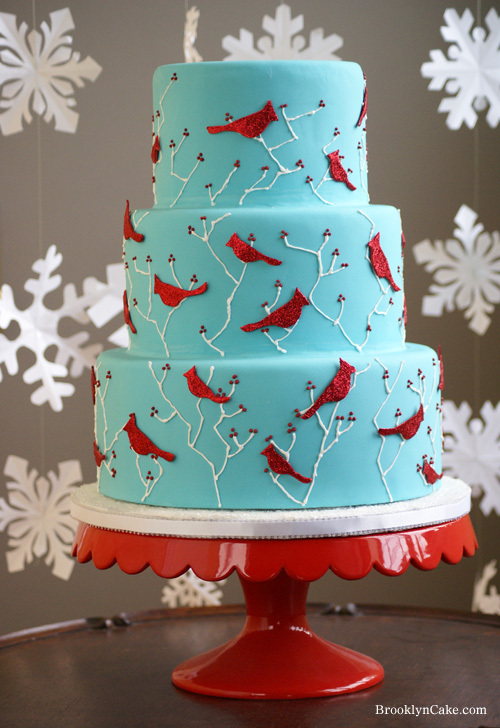 Winter birds turquoise and red wedding cake. Such a whimsical, pretty winter theme!